Peru, one of the most bio-diverse countries on the planet, is a mysterious, exciting, and glorious wonder! A place on almost everyone’s bucket list and if it isn’t, then go ahead and add it to the list right now! 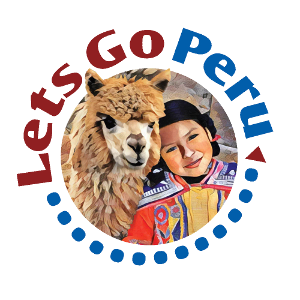 At LetsGoPeru, you have access to any one of our experienced travel consultants, who will provide you with “A lifetime of dreams in such a small stay”. Wonderful Peru has so much diverse culture, cuisine, history and adventure to offer all in one country! Whether it be the mighty Amazon, the stunning beaches or desert coasts, our unique wellness centres, a foodie adventure, the Andes Mountains, the history, culture or the magnificent Inca sites that you are looking to experience, there is something for everyone in Peru. Peru has been inhabited by many fascinating Ancient Cultures who left behind much to see and do in Peru. The most famous Peruvian culture without a doubt are the Incas. Although out Peru you can visit sites and see the brilliance of the Inca people. No trip to Peru is complete without a visit to the Inca Citadel of Machu Picchu, one of the seven wonders of the world and available for you to discover on your Peruvian holiday!. Peru has been inhabited by many fascinating Ancient Cultures who left behind much to see and do in Peru. The most famous Peruvian culture without a doubt are the Incas. Although out Peru you can visit sites and see the brilliance of the Inca people. No trip to Peru is complete without a visit to the Inca Citadel of Machu Picchu, one of the seven wonders of the world and available for you to discover on your Peruvian holiday.! Journey through the Amazon jungle when you tour Peru. Discover nature at its finest in the jungle filled with magnificent and verdant vegetation. See some of the hundreds of varieties of animals that call the jungle home on a walk through the Peruvian Amazon. Take a trip down the river after dark to see the jungle alive with movement as the animals awake from their daytime slumber! Scattered all over Peru are the trails the Incas used the join the vast empire, most connected to Cusco as it was the heart of the empire. One of the most famous trails in Peru is the Inca Trail, hiker from all over the planet come to Cusco and experience the four-day hike to Machu Picchu. The hike will challenge your physical and mental abilities but the experience will live with you forever. If you are a foodie or even not you simply must try the food in Peru, each zone in Peru has its own type of food all different and all equally delicious. The capital of Peru, Lima, is internationally known and awarded for its restaurants offering a wonderful fusion of the many different Peruvian cultures. But not only are there great restaurants, the Peruvian street food is some of the best in the world and you will experience the aromas on nearly every street corner in Peru. Together, we combine all of our knowledge and experience within the industry along with some new ideas to ensure that your time in Peru is to your utmost satisfaction. From the food in your belly to the stuffing in your pillows, we strive to show all who travel to Peru just how amazing it is. From Amazon Jungle Treehouses through to Wellness Centres and Spas, Luxury Amazon Cruises, Romantic Honeymoons at Machu Picchu, whatever is that you dream. LetsGoPeru can customise your travel experience to match your dreams! Let us put a smile on your face!